Phillies, Eagles, and the 76ers! Venues like the Wells Fargo Center, Lincoln Financial Field, Citizens Bank Park and the Wachovia Spectrum. The Susquehanna Bank Center, Penns Landing Festival Pier, Electric Factory, and don't forget the Keswick Theatre in Glenside! Headed your way in the greater Philadelphia Area's 2016 Line Up - Check out Beiber, Beyonce, or Boz Scaggs! Take the kids to Monster Jam! Or Disney on Ice! Catch a Broadway show at the Kimmel Center, Academy of Music, or Forrest Theatre! Dinner & a Night out on the town! Our Town! 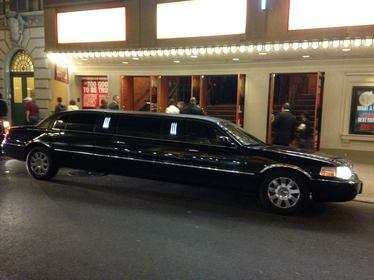 Line up your limo NOW and enjoy the show!